The afternoon of February 15, 2015, saw the close of the second spring 2015 weekend symposium put on by Saints Cyril and Athanasius Institute for Orthodox Studies. 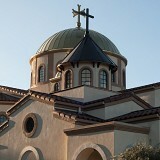 The theme for the spring 2015 symposia was “The City a Desert.” The first symposium, hosted by St. Andrew [Antochian] Orthodox Church in Riverside, CA, over the weekend of February 7-8, featured Metropolitan Joseph, Archimandrite Gerasim (Eliel), Archimandrite Irenei (Steenburg), Archpriest Joseph Trenham, and Priest Andrew Cuneo. 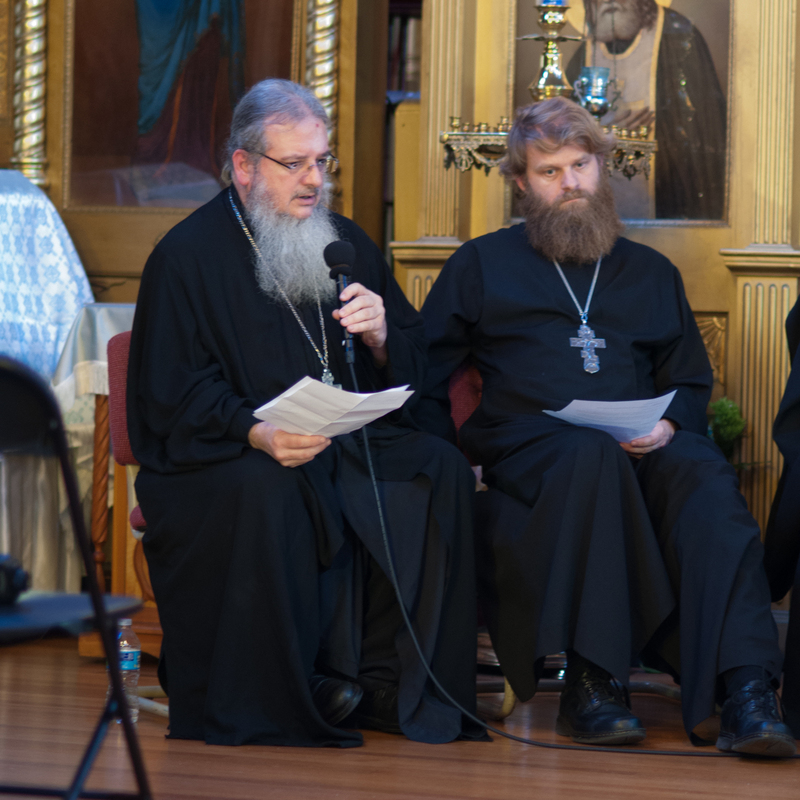 The speakers at the symposium of February 14-15 held in San Francisco at the Old Cathedral at 864 Fulton Street were Dr. Christopher Veniamin, Hieromonk Alexii (Altschul) and Archimandrite Irenei (Steenburg), with Hieromonk James (Corazza) and Priest Phillip Halliwell joining the speakers for the Questions and Answers sessions and roundtable discussion. 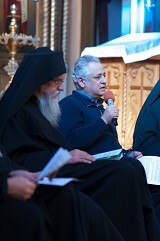 Participants of the symposia included not only students of the Saints Cyril and Athanasius Institute and members of the respective parishes which hosted the event, but also clergy and parishioners from parishes of all Orthodox jurisdictions (and even a few Roman Catholics) from the greater area where each symposium was held. 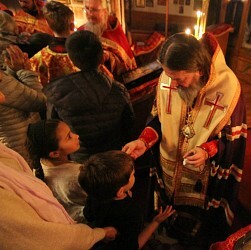 At the beginning of each symposium weekend, Archimandrite Irenei exhorted attendees to come not merely for the sake of deeper intellectual knowledge of the Church, but to come away from these talks better Christians, better fitted to live the life in Christ. Christians are those who are intimately familiar with the entirety of the New Testament and not only know what it says but also understand how to follow the teachings of Christ in their day-to-day lives through acts filled with compassion and sympathy for their fellow human beings. We now live in a world where we are very connected electronically to far-flung friends and family, but we don’t even know the person who lives next door. We need to get to know our actual neighbor, even to the point of knowing when his or her birthday is. Our interactions with the people around us, whether it be our spouse, our children, our coworker, or the supermarket clerk, need to express humility and compassion. Christians in the west have developed a reputation of chastising others for not following the edicts of our faith. We shouldn’t chastise without offering to suffer with those who are struggling with their sins. One who is truly in a state of repentance doesn’t see the sins of the other as his/her own sins fill the field of vision. We need to learn obedience, obedience to the teachings of the Church andto the spiritual father we find in the church we attend each week. Obedience to the teachings of the Church includes fulfilling our prayer rules daily without fail and praying throughout the day. If we can remember to pray before every word, every action, and every thought, we will start on the path of living a life in Christ. If we don’t remember to pray every time, we should not despair or let our despair get in the way of doing so the next time. A prayer in the middle of an action is better than no prayer at all. In addition to our prayer, we must make room in our lives for quietness and stillness, even if it is only for five minutes, because prayer and stillness proceed the clear vision of God. 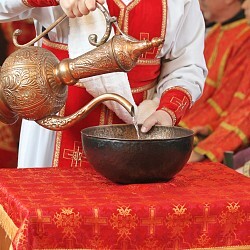 For those who have been unable to attend the symposia or find their notes inadequate, Archimandrite Irenei has promised that after the 2016 symposia are complete, a CD containing all the talks given at the first five years of symposia will be produced to commemorate the 5th anniversary of the Institute.